First introduced in 1925 the Kaweco pocket fountain pen followed the different tastes and requirements to last throughout the decades. The Kaweco "Sport", the first fountain pen made in pocket format, perfect for travelling, recreation, sports and the office became and all-time big seller. 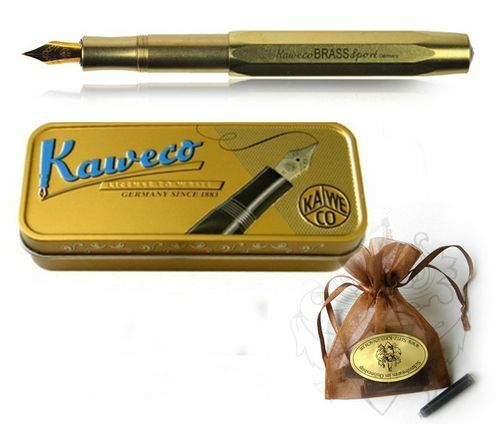 The Kaweco Brass is purely made from brass without any extra finish, therefore the surface may already have scratches and spots which can happen during the manufacturing process. Abrasions like these can already happen during the first usage and are intended, thus can't be used as a reason for reclamation. The pen can be used with the different ink cartridges from Kaweco, but since those are produced with a standard format, cartridges from other manufactures can also be used. 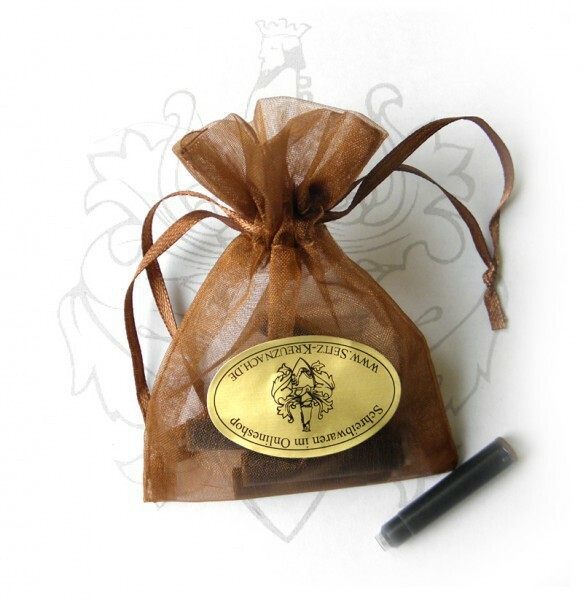 The Kaweco Sport Brass fountain pen comes with a fitting gift box.